Looking for stylish bathroom accessories to match a modern bathroom interior? The Essentials accessories range are crafted with timeless elegance in mind. Finished in durable GROHE StarLight chrome. These bathroom accessories blend seamlessly with your bathroom. You can match your range of bathroom accessories be it a soap dish or towel rail, toilet roll holder or grip rail. The Grohe essentials range we stock include the Essentials Cube accessories. 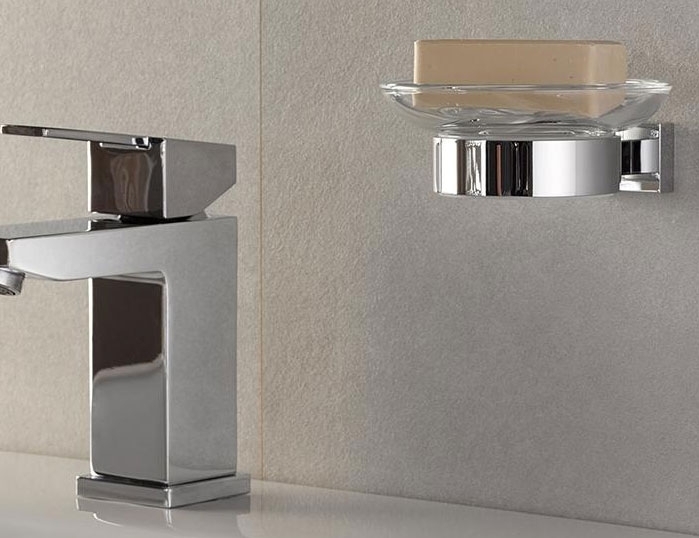 The ideal accompaniment to several of GROHE square Cosmopolitan tap / faucet collections.